1. Make sure your timing is right. What time of year will be best for your trip? You will really want to keep the weather in mind. Fall would be a beautiful time to go and see all the leaves changing colors, but keep in mind that everyone will also have that thought and it will be crowded. Maybe crowds don't bother you- I definitely would like to go back at this time. If it's going to snow, you'll want to make sure you are staying in a place where you can easily get to it. We stayed in a place with a wicked climb. I mean you can't expect much different- it's the mountains! But some drive ups are better than others. Do you have snow tires? We don't. Just use common sense and do a little research and you will be fine! 2. Stay outside of town. Part of the reason we stayed in this Airbnb was for this view right here. This is the exact Airbnb we stayed in. If you use this link you can get $40 off your first stay! At first we were a little bummed that we were 25-30 minutes away from Gatlinburg, but it turns out that it was a blessing in disguise. We were in Townsend which is right by a park entrance and away from all the crowds of Gatlinburg. There were plenty of restaurants and even shops just 5 minutes from our Airbnb and we didn't have to wait to get in. The pace was slow which was exactly what we were going for the trip. 3. Know before you go. This is a little nugget my mom told us growing up and it's a brilliant thing to live by. It was usually in reference to my brothers heading out to a dirt bike track, but it can be applied to any place you are going. We wanted to go to Clingman's Dome, but when we got to it it was closed! It closes every year on December 1. It was December 2! Missed it by a day. There's a really cool lookout right there so we went there instead. We had a few hikes and places in mind, but we kind of just played it by ear. This was totally okay as our group of 3 was pretty easy-going. But if you don't have a lot of time or want to see very specific things, make sure those places are open. Also, make sure weather hasn't changed anything. And make sure you have enough time to get there and back in the daytime. Really, just make a plan. It's always good to see what everyone's expectations are.. and then lower them. Sounds a little depressing, but it's true! 4. Give yourself enough time. We were lucky enough to be able to head out Friday morning and get to Townsend in the early afternoon. We left Sunday so this gave us just enough time to see what we wanted. I still found myself wishing we had one more day just to hang out in our cozy cabin. 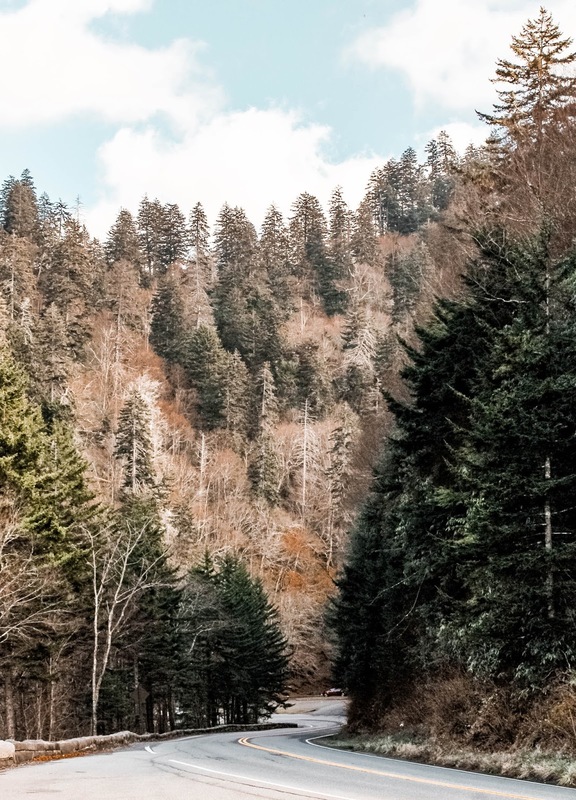 Since you are in the mountains, it takes twice as long to get everywhere. So many things we did were 30 and 40 minutes away from each other. That really starts to add up when you are only there for a couple days. Also, make sure you give yourself enough time to get home before dark. These are the mountains. The roads wind for days. Safety first! 5. Relax. This was our main reason for heading out to Gatlinburg. I had never been and was excited to see what all the hoopla was about. Turns out, it just really isn't my flavor. Or Casey's. Or her moms. I could forego the whole strip and stay by the park just for scenery and time away. Make sure you take time to relax and enjoy the beauty of your surroundings. 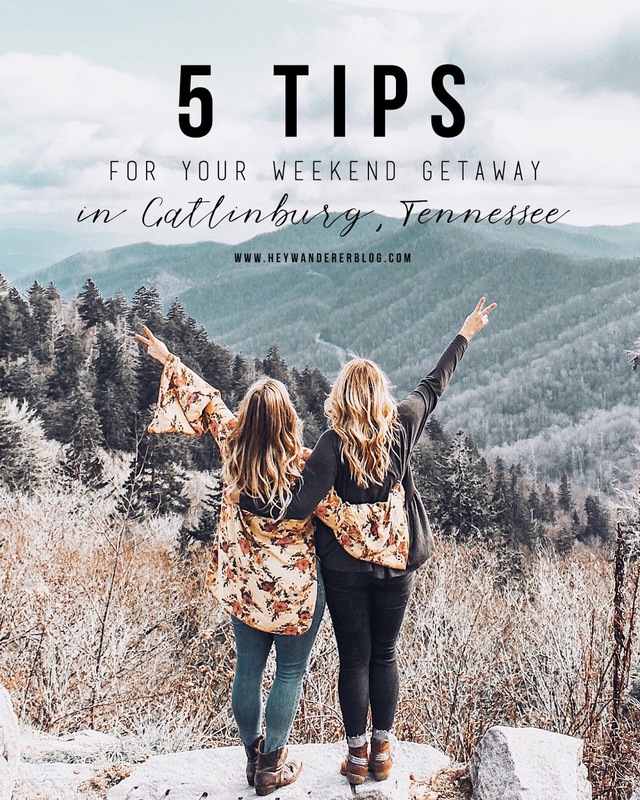 If you don't think you like Gatlinburg, maybe give it a try by staying in Townsend and not even going to fight the crowds. 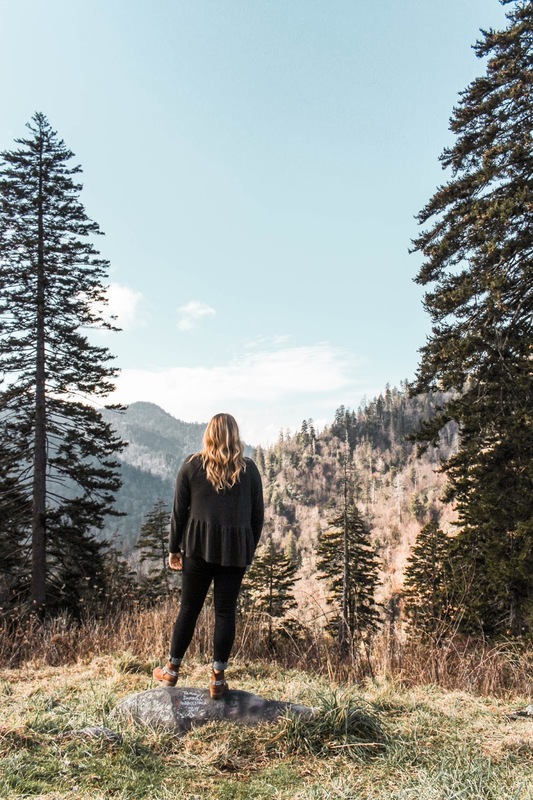 The Great Smoky Mountains are the real reason to go anyway! Places we ate: Log Cabin Pancake House, Greenbrier Restaurant, and Elvira's Cafe. We would definitely recommend Greenbrier and Elvira's! Greenbrier is tucked away on a hill and it overlooks the mountain. Elvira's was fast and easy for breakfast and right by our Airbnb! We had to wait in line at Log Cabin and the food was good enough, but it was just breakfast and they were not accommodating at all with Casey and her celiac. I have zero tolerance for people who refuse to take celiac seriously, so we wouldn't go here again. Places we wished we had eaten at: Applewood Farmhouse Restaurant. Due to time, we didn't make it here, but it was on our list! Casey and her mom have eaten there before and loved it, but this was pre-celiac Casey. Maybe next time we will make it there! Oh we also rode the Gatlinburg Mountain Coaster! I really just wanted to see what this was about, and it was fun, but not worth the $16/person it costs. It was just over so fast. Casey made a good point that you could almost buy a ticket to Dollywood for the price and ride many more coasters. Not that we wanted to go to Dollywood. I'm glad I experienced the mountain coaster, but I would not necessarily urge you to ride it. All in all, the things I thought I was going to like about Gatlinburg were underwhelming at best. 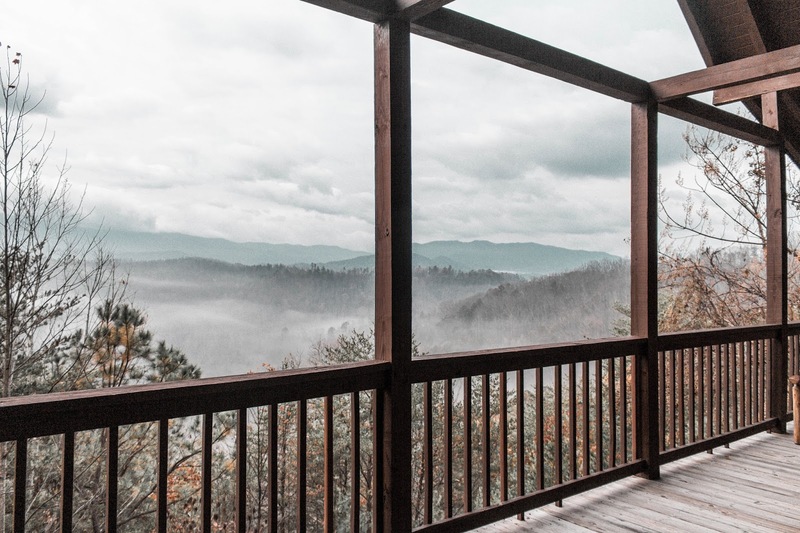 BUT the good news is that the things I didn't even really think about- being in a small town in the mountains with a great view and a hot tub and gas fireplace- were the best parts! 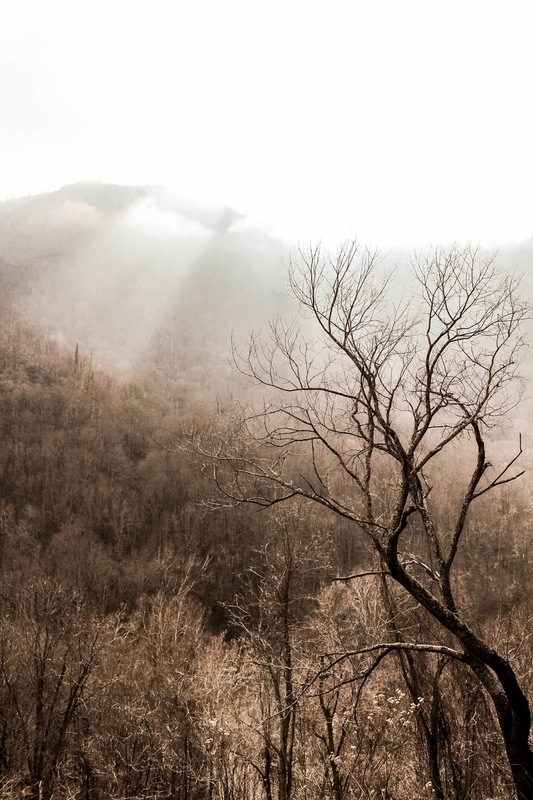 So if you are headed to see The Great Smoky Mountains, our suggestion is to try out Townsend. 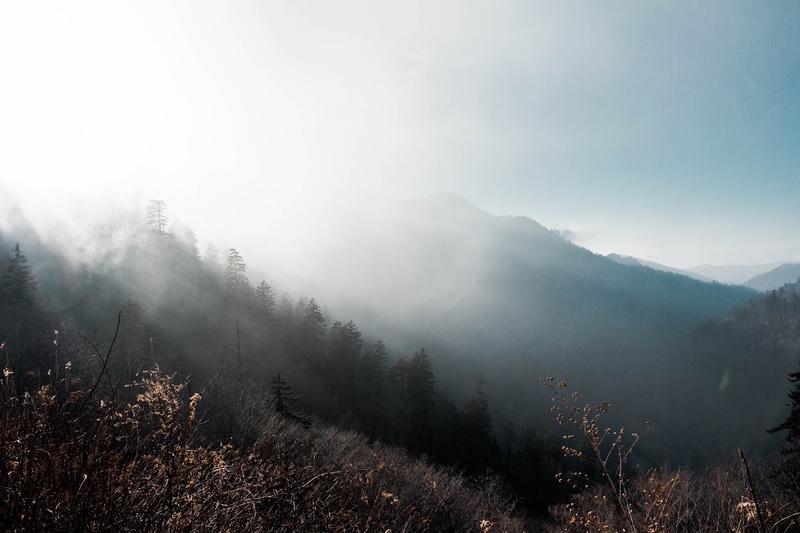 Definitely try to go when Clingman's Dome is open- I WILL be going back to that one day when it is open. Bring some food with you because the grocery stores are few and far between and they have very limited selections. Casey's mom made us a taco soup for dinner one night and I made a white chocolate fudge (recipe coming soon.) Jump in the hot tub, watch some movies and sit by the fire. Stare at the mountains because they are magnificent. Most importantly, go to slow down for a few moments. It'll be worth it! P.S. If you like this post and want more like it, please Pin the image below! 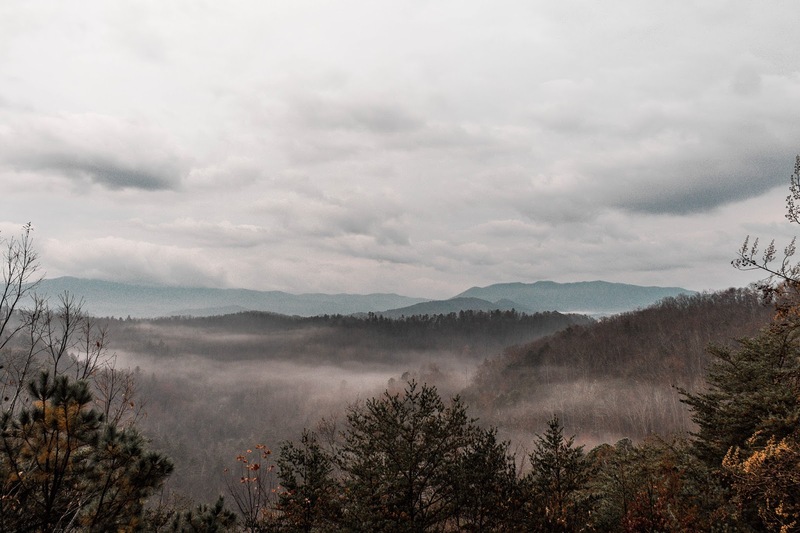 We do like Townsend but found Waynesville, North Carolina to be a great place. 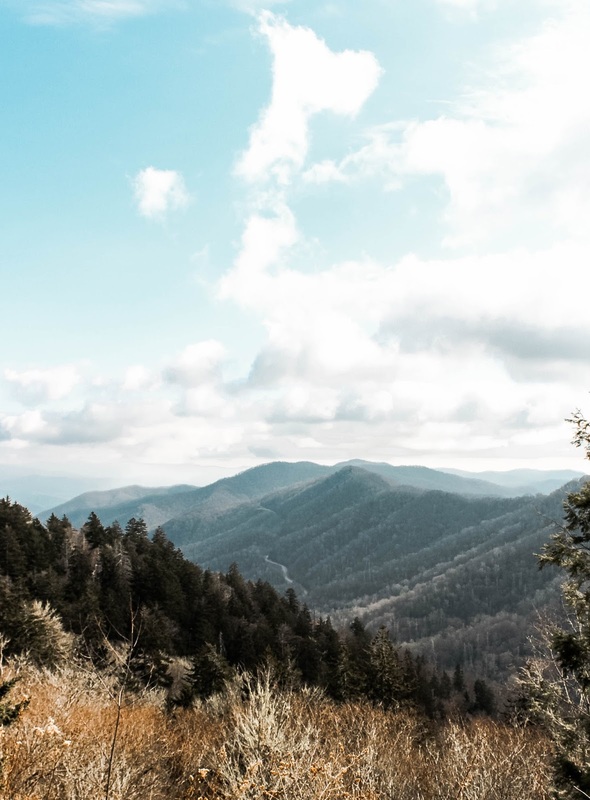 You're on the Eastern side of the Smokies, close to the Blue Ridge Parkway,cute small towns and lots of great restaurants without the tourist crowds. (And 30 mins to Asheville).